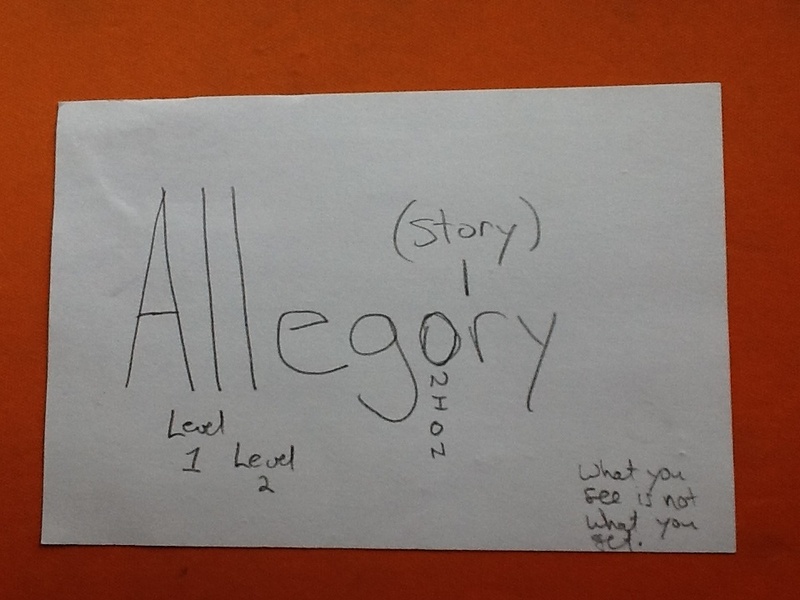 I wanted to share some index card words that a smart young lady in high school worked on with me. This student had all but given up on memorizing vocabulary in science, social studies and literature because she could not handle all of the dense language that seemed meaningless. 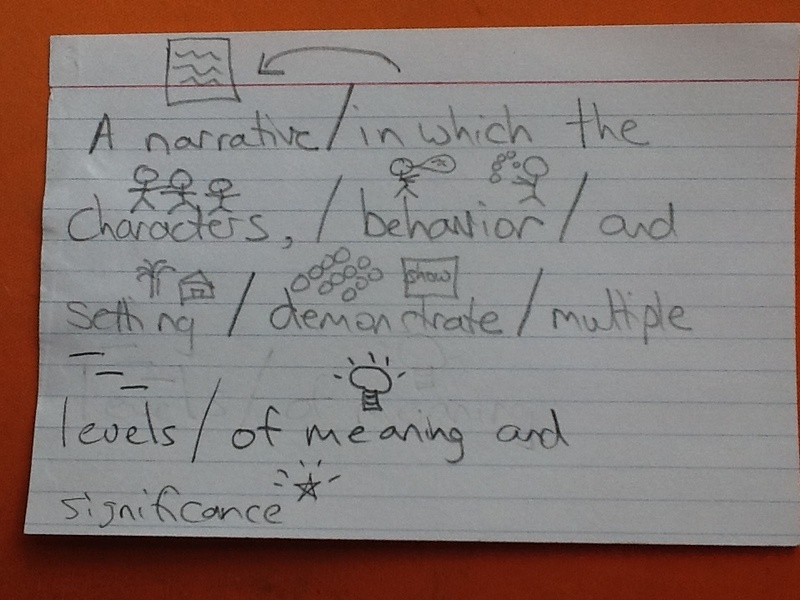 Here is how we broke down (discussing each phrase separately) the definition for “allegory – a narrative in which the characters, behavior and setting demonstrate multiple levels of meaning and significance.” When she read the definition to me, all of the words were rushed together, she was not parsing them out for meaning. Because this is how she was attempting to memorize (short-term for meaningless information) it was unsuccessful. 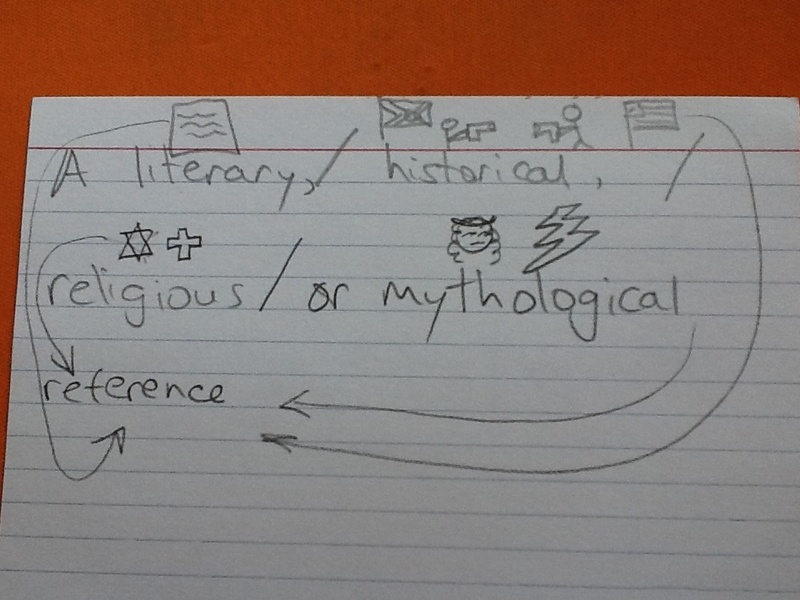 Notice that the actual letters of the word contain the very concepts that are embedded in the definition so the student had visual anchors to recall the word. 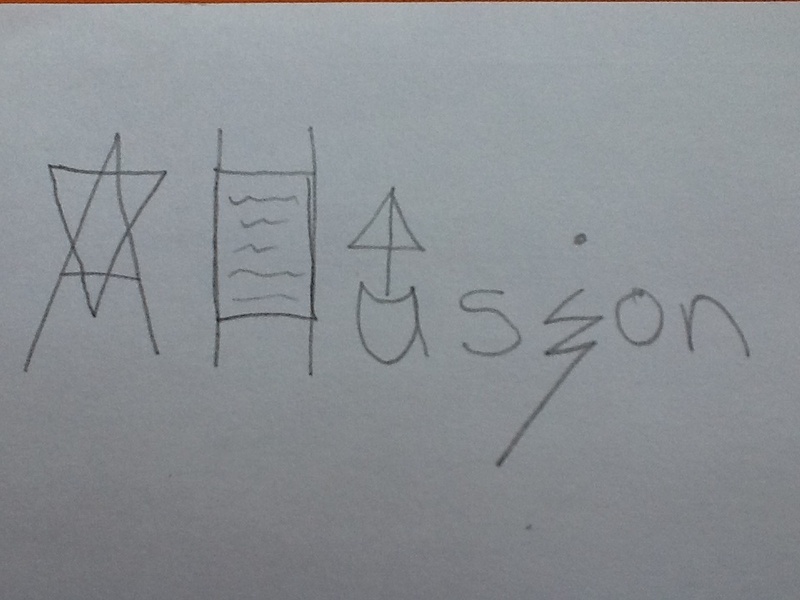 The A became a Star of David (religious), the LL became a piece of literature, the U became a boat in Boston Harbor (historical) and the I became Zeus’s lightening bolt (mythological). After studying her vocabulary terms this way, she happily announced that she had gotten a good grade on her test!